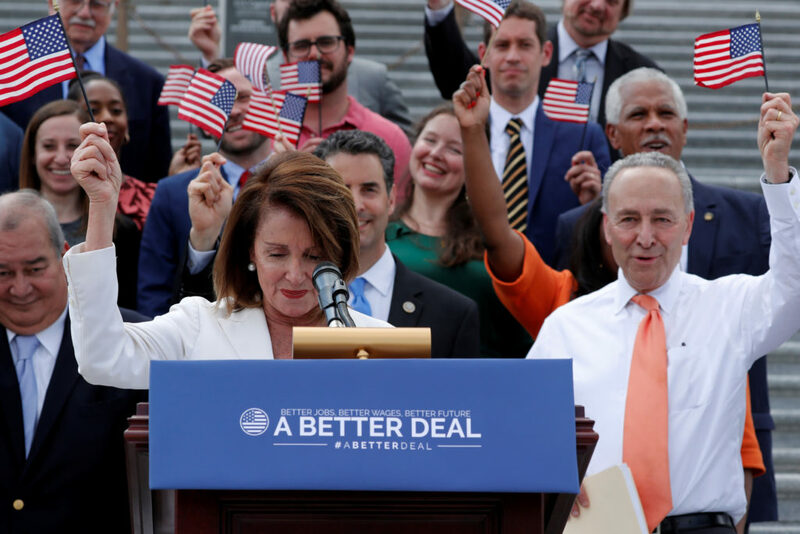 WASHINGTON — Responding to teacher walkouts across the country, congressional Democrats on Tuesday proposed raising teachers’ salaries by canceling the tax cut for the nation’s top 1 percent of earners. But the proposal gives Democrats an issue they can use ahead of the November midterm elections. Teachers have won widespread support, even in conservative areas, as they complain about low pay. At a congressional hearing Tuesday, Education Secretary Betsy DeVos agreed that teachers are underpaid, but offered few concrete suggestions to boost their income. Lily Eskelsen Garcia, the head of the National Education Association, the largest teachers’ union, said many teachers were forced to work several jobs in order to make ends meet. “We are here to serve America’s children and we also want to be able to raise our own families,” she said. But she defended budget cuts that affect teacher training and support programs, saying, “Tough decisions were made as to where to recommend resources be focused.” She also called for “flexibilities in other funding streams,” but offered no specific details.